Z57 Inc., a real estate Internet marketing firm, is pleased to announce the 1000th graduate of its Z57 Academy - ZPro 100 Series Realtor Internet and social media marketing courses. North Pole, Alaska, REALTOR®, Chris Emmett of Century 21 Gold Rush, achieved his ZPro Certification just in time for the holidays. Upon completion of the Z57 Academy ZPro 100 Series course work, real estate graduates earn a ZPro Certification. Chris Emmett’s real estate office is located on St. Nicholas Drive in North Pole, Alaska. Based in Fairbanks North Star County, he serves North Pole, Fairbanks, Eielson AFB, Fort Wainwright, and Salcha areas. As a member of the United States Air Force, he understands the unique needs of military families. Getting Permanent Change of Station (PCS) orders is stressful. With ZPro training Emmet improved his skill set to include mastering online marketing -- making his client’s transition in to or out of their home as smooth as possible. 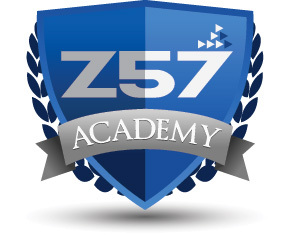 The Z57 Academy’s ZPro Certification program consists of five courses. The one-on-one sessions provide agents with proven actionable tasks that make their website more competitive and marketable. The ZPro 100 Series courses cover: a quick-start guide; posting for results; selling with single property websites; promoting your business and selling with Facebook. “I really enjoyed working with Chris. During every session we had great conversations, and he was eager to learn and see results. Chris definitely demonstrated he mastered today’s Internet strategies to help both his sellers and buyers,” said ZPro Specialist Alexis Davidian. San Diego-based Z57, Inc. is a personal Web marketing company for thousands of real estate professionals. Founded in 1998, the company specializes in feature-rich designed websites, with content, listings, lead capture and conversion tools, buyer/seller traffic generation through effective online marketing plans, listing syndication, search engine optimization, drip e-mail marketing and a highly trained and responsive customer service team. Z57 provides clients nationwide with proven real estate solutions matched with personal service from more than 150 dedicated employees. The company’s education division, Z57 Academy, specializes in courses to educate Realtors in Internet marketing strategies. The Southern California Internet marketing firm was recognized as an Inc. 5000 company and one of San Diego's top Web Development and Design Companies. For more information call (800) 899-8148 or visit http://www.Z57.com.